Saturday night we tried out a new restaurant here in St. Louis called Peacemaker. It’s all about seafood and has only been open for about two weeks. The place was packed and there was a long wait. Luckily, there was a dive bar across the street where we grabbed a drink while we waited. It has wash tub light fixtures and over-sized pictures of shrimpers and fishermen on the wall. The menu is simple and mostly market prices. 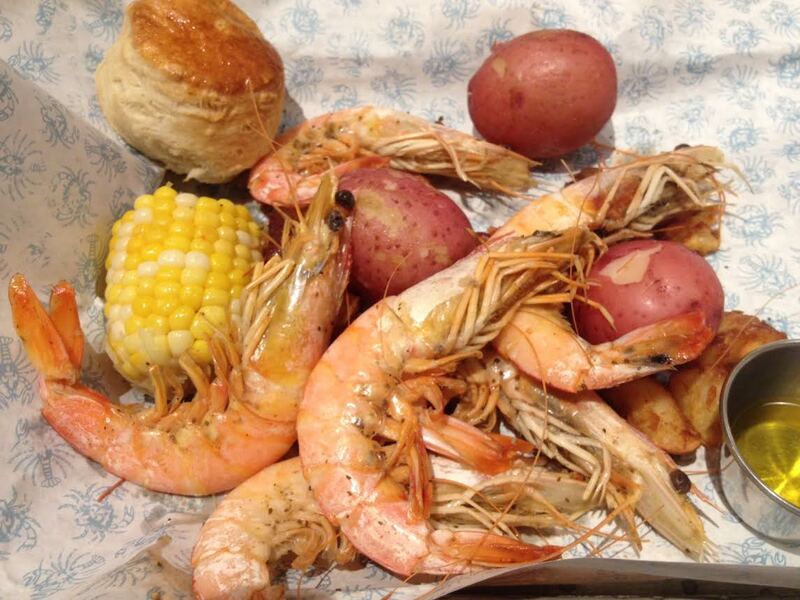 I had the shrimp boil pictured above and a side of hush puppies. It was wonderful. In fact, I don’t even remember the last time I had seafood that good. A nice bottle of wine accompanied the meal, and there was blackberry pie and ice cream for dessert. I don’t eat out much in this city, much less at new venues, so this was a pleasant experience overall. I would definitely recommend it to others, though beware it is a bit pricey. My only complaint was J’s lobster roll was served with potato chips. For what you pay, you’d almost expect fries or coleslaw at least. But that was our only complaint. I’d definitely go back.